DALLAS – The USA Film Festival announces the schedule of events for the 48th Annual USA Film Festival, April 25 - 29, 2018 as part of Dallas Arts Month. Programs will be held at the Angelika Film Center, 5321 E. Mockingbird Lane, Dallas, Texas. Advance tickets are available exclusively through Ticketmaster beginning April 11, 2018. Thanks to support from The City of Dallas Office of Cultural Affairs and the Festival’s Sponsors, the Festival is pleased to present over 50% of all programs as Free Admission for the community. - Salute to actor Richard Chamberlain in conjunction with a special repertory screening of The Last Wave (1977) and on-stage conversation. Mr. Chamberlain will also sign copies of his memoir “Shattered Love” following the screening. - Stephen Tobolowsky Hosts The Shorts Showcase and Salute to Elizabeth Ashley and Salute to Barbara Bain. Both iconic actresses have lent their talents to short film works. The program will feature new short film works with filmmaker guests in attendance including: actor Josh Zuckerman who will present his directorial debut A Real Adventure; co-writer/director SJ Main will present Reconnected featuring actress Barbara Bain; writer/director Elisabeth Gray will present Severance featuring Elizabeth Ashley; and writer/director Michael Langman will present his directing debut Wake the Riderless Horse featuring actor/producer Scott Michael Foster (who is from the Dallas area and a graduate of the prestigious Quad C Theatre program at Collin County Community College). Actor Stephen Tobolowsky will host the on-stage Q&A with all guests following the screenings. - Director Dana Adam Shapiro and producer Carra Greenberg will present their documentary Daughters of the Sexual Revolution: The Untold Story of the Dallas Cowboys Cheerleaders the never-before-told story of Suzanne Mitchell, the fiercely-loyal den mother of the Dallas Cowboys Cheerleaders. Also in attendance, some of the former Dallas Cowboys Cheerleaders interviewed in the film. - Writer Daniel Pearle will present the moving family drama A Kid Like Jake starring Claire Danes, Jim Parsons, and Leo James Davis; adapted from his play of the same name, and directed by Silas Howard. - Spanish Actress Assumpta Serna will present Red de Libertad, the little-known true story of Sister Helena Studler, the French nun who created a network of contacts and collaborators that enabled the escape of 2,000 people from Nazi camps and persecution during WWII (including future President of France, François Mitterrand). - Writer/actor/producer and great story-teller Stephen Tobolowsky returns to the USAFF with The Primary Instinct, directed by David Chen, featuring Tobolowsky using the art of storytelling to take the audience on a riveting and moving journey about life, love and Hollywood. - Director Tiffany Bartok and producer Jayce Bartok will present their documentary Larger Than Life: The Kevyn Aucoin Story. The program will be hosted by Dallas-native, model, creative director, and magazine contributor Chandra North (who knew and worked with Kevyn). - Former Dallasites co-writer/director Mark Hayes and producer Gabriele Hayes return to present their documentary Skid Row Marathon. - To celebrate the 150th Anniversary of Louisa May Alcott’s classic novel, the Festival will present a modern-day film adaptation of Little Women, written and directed by first time filmmaker Clare Niederpruem with Dallas-raised producer and USAFF alumni filmmaker Chris Donahue. This free-admission program is presented in partnership with the City of Dallas Office of Community Care as part of the “Engage at Any Age” program as we kick-off Older Americans Month in May. - Director/producer Susan Kucera will present her thought-provoking documentary Living in the Future’s Past, produced and presented by Jeff Bridges. - Producer Marty Ashby will present his documentary covering the unrecognized history of jazz music in Pittsburgh entitled We Knew What We Had: The Greatest Jazz Story Never Told. This free-admission program will be presented in partnership with D’JAM ( Dallas Jazz Appreciation Month) and the Sammons Center for the Arts. - Jurors for the USAFF’s 40th Annual International Short Film Competition include actress Tamara Taylor, writer/director/actress/producer Assumpta Serna, actress Dale Dickey, actress/writer/director Christina Beck (Jury Chairperson), writer/director John Putch, journalist and festival consultant Michael Goro Takeuchi, painter and filmmaker Rosson Crow, and animator Bill Haller. The Awards program will take place on Sunday during the Festival. - Other highlights include: the revelatory documentary RBG, which explores the incredible life of Ruth Bader Ginsburg; the documentary The Quest of Alain Ducasse where filmmaker Gilles de Maistre followed the legendary chef for two years as he continues to push the boundaries of his profession; Disobedience starring Rachel Weisz, Rachel McAdams, and Alessandro Nivola in terrific performances; the unbelievable true story American Animals starring Evan Peters, Barry Keoghan, Blake Jenner, Ann Dowd, Jared Abrahamson, and Udo Kier; the intimate documentary profiling fashion guru André Leon Talley, The Gospel According to André; Tully starring Charlize Theron and directed by (USAFF alumni) Jason Reitman; the mesmerizing coming-of-age story We the Animals starring Raul Castillo, Sheila Vand, Evan Rosado, Isaiah Kristian, and Josiah Santiago; the eye-opening documentary Poisoning Paradise, co-written/directed by Keely Shaye Brosnan and Teresa Tico and executive-produced by Pierce Brosnan; the deeply moving and engaging documentary The Last Goldfish; and several compilation programs of short films (Narrative, Nonfiction, Student, Animation, Experimental), as well as Texas-made works. DEDICATION – USAFF48 is dedicated to these friends and filmmakers that we lost this past year: Dorothy Malone was a great friend to USAFF, attending our program many times over several decades to speak when we presented films in which she performed, and to help host some of our other visiting artists whom she knew from her many years in film and television. Horror visionary George Romero first visited the USAFF in 1979 with Dawn of the Dead, a film that Roger Ebert (another regular USAFF attendee) called “one of the best horror films ever made.” Horror master Tobe Hooper also visited USAFF several times with his films, and was also a great friend to the Festival. Sponsors of the 48th Annual USA Film Festival include Dave Perry-Miller Real Estate, Gaedeke Group, Whole Foods Market, Carol and Alan J. Bernon Family Charitable Trust, Headington Company, Dallas Tourism Public Improvement District, Mary Fox and Laura Fox Williamson, Dallas Film Commission, cashstore.com, Sidley LLP, Yelp Dallas, Jackson Walker LLP, Norma’s Café, Texas Film Commission, SAG-AFTRA, Dallas Producers Association, The Downtown Business News, Interabang Books, Kevyn Aucoin Beauty, Alford Media Services, Angelika Film Center and Ticketmaster. The USA Film Festival is supported in part by the City of Dallas Office of Cultural Affairs. 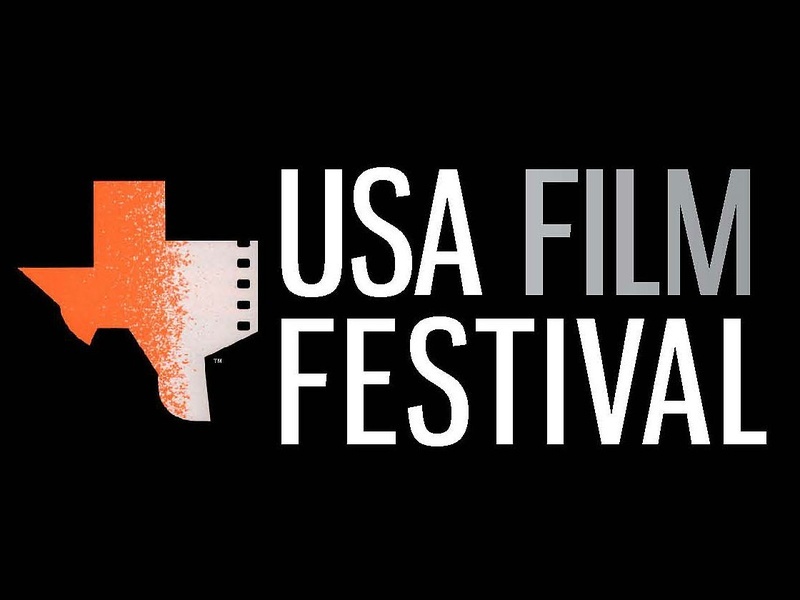 The USA Film Festival is supported in part by the Texas Commission on the Arts. The USA Film Festival is a 48-year-old Dallas-based 501c3 non-profit organization dedicated to the recognition and promotion of excellence in the film and video arts. Year-round events include the annual KidFilm® Festival, a 40-year-old International Short Film Competition; monthly screenings; special programs and premieres; and the USA Film Festival, held each Spring. Throughout the year, the Festival presents a variety of membership, exhibition, educational, and cultural programs designed to promote equity and equality, and to bring together audiences and artists for a “live cinema” experience.